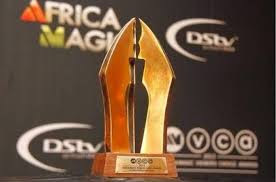 The 2018 edition of Africa’s prestigious movie awards, the Africa Magic Viewers Choice Awards (AMVCA) held at the Eko Hotels And Suites, Victoria Island, Lagos on Saturday and it was a night of glamour and fun. The event saw the continent’s top actors and actresses battle in 27 categories for the top prize from a long list of 120 nominations across Ghana, Kenya, Malawi, Nigeria and South Africa. Hosted by IK Osakioduwa & Minnie Dlamini, alongside extraordinary musical performances by ace Music Producer; Cobhams Asuquo and Falz, the 6th AMVCA was definitely a night to remember.